Paintball in Staffordshire has mulitple venues on offer to play. 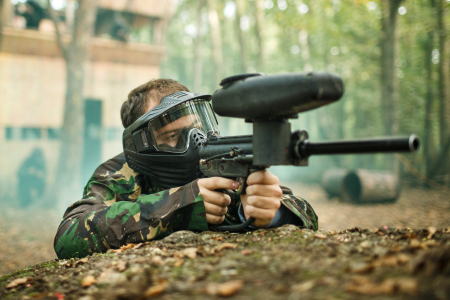 Firstly there is Stoke located just 15 minutes from the city centre allowing it to be easily accessible from all parts of Staffordshire and an extremely convenient venue to play paintball. This Staffordshire paintball venue welcomes all groups whatever the occasion and promises to be a fun day had by all. For those looking for an alternative venue near Staffordshire there is also the Redditch paintball venue as well as the Wolverhampton site too. These are both extremely popular and all offer the best in paintball equipment here in Staffordshire.